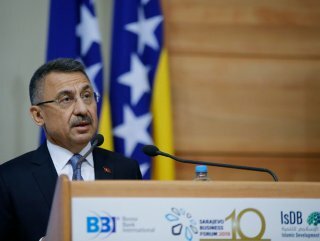 Vice President Fuat Oktay says Bosnia and Herzegovina have left behind sad days and became center of attraction in Southeast Europe. Turkey will continue to support Bosnia and Herzegovina in every field, especially for integration with the European and Atlantic institutions, Turkey's Vice President said on Wednesday. 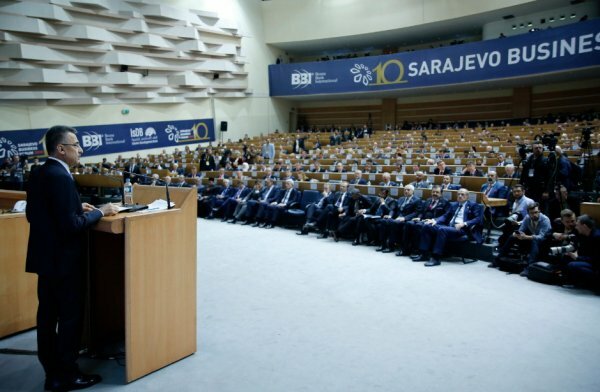 "WE WILL CONTINUE TO AID ECONOMIC"
Speaking at the 10th Sarajevo Business Forum, Fuat Oktay said Bosnia and Herzegovina left behind the sad days and became a center of attraction in Southeast Europe. ”The country has also recorded a significant process towards becoming a brand for investors," he said. 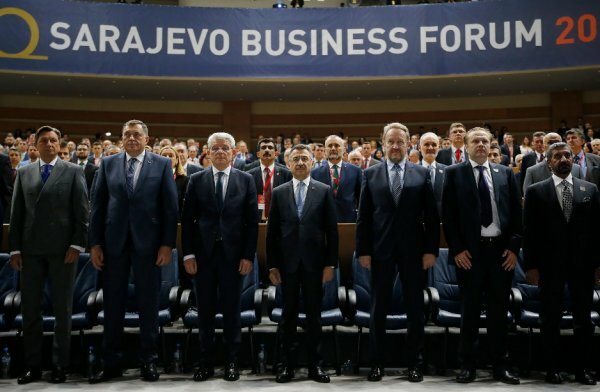 "It is time to make Sarajevo a focal point for economic and financial projects," he added. 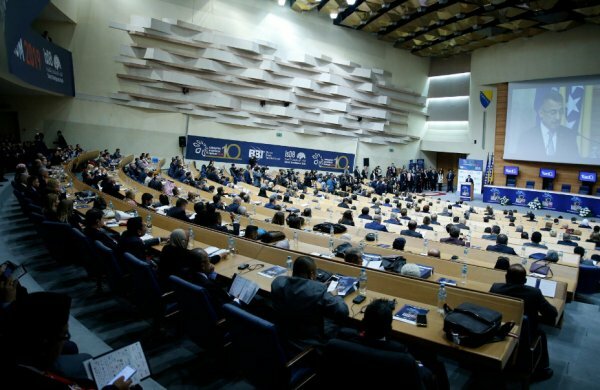 The forum, which has been held since 2010, is organized this year under the slogan of "one region-one economy". Oktay noted that Bosnia and Herzegovina has great resources and potential with its unique geographical location. "We should work together to benefit from this potential," he added. "The main elements that the country needs today are unity, solidarity, and more investment," he said. The Turkish vice president stressed that investments will ensure employment opportunities, sustainable economic growth and development. "Economic development is vital for living together and peace in the region," he said. "Likewise, political stability and superiority of law are the prerequisites for economic development," he added. To preserve regional peace and stability, Oktay said there is a need for strong dialogue in the political sphere. "We should also create more economic interdependence, and promote the socio-cultural interaction between our peoples," he said. Pointing out the common interests and values, Oktay said Turkey's wish is to ensure that all actors in the region act together to solve the problems. "We are aware that this can be achieved by boosting regional cooperation," he said, adding: "In this context, Turkey will continue to show its best efforts in both bilateral and multilateral platforms," he addded.